Heart of the Rockies Regional Medical Center (HRRMC) is a 25-bed Critical Access hospital in Salida Colorado. Located in the Upper Arkansas Valley, HRRMC currently serves over 16,000 residents. The hospital was originally established in 1885 as the Denver and Rio Grande Railroad hospital serving railroad employees. HRRMC provides a full range of services from complete family care to surgery. HRRMC has been directed under the leadership of Ken Leisher since 2006, who recently announced his retirement. 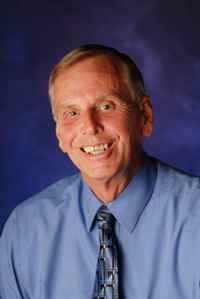 Ken has been at the forefront of HRRMC’s vision to be a world-class rural healthcare organization. “We are proud to offer a host of medical services and surgical specialties; a Family Birthing Center, Level IV Trauma Center, chemotherapy, and the latest diagnostic imaging technology, including digital mammography.” CRHC appreciates Ken’s dedication and contribution to the success of HRRMC over the years. We wish him every success in his retirement. Robert “Bob” Morasko will take over as CEO on May 28th. Morasko brings with him over 20 years of experience as a CEO in the healthcare industry and recently served as the CEO at Campbell County Memorial Hospital in Gillette, Wyoming. 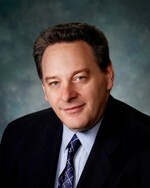 Morasko earned a Master of Business Administration from City University in Washington and is a fellow of the American College of Healthcare Executives. Read more about Bob in the HRRMC press release issued May 6th. HRRMC has been a member of CRHC for several years and actively participates in a variety of CRHC services and programs, including educational workshops and webinars, annual conferences, the Small Rural Hospital Improvement Grant Program (SHIP), and currently contracts through CRHC’s Colorado Provider Recruitment program. HRRMC constantly strives to improve the level of patient care it provides. For instance, on Wednesday, October 26th, 2011 HRRMC successfully attested for Stage 1 Meaningful Use of their Electronic Health Records making them the second Critical Access Hospital in Colorado to attest and apply for Medicare EHR Incentive Funds. A CRHC staff member reminisced of this journey stating, “They overcame many obstacles on their journey to Meaningful Use and could not have reached their goal without strong leadership and perseverance.” CRHC was delighted to have had the opportunity to work with Heart of the Rockies as its CO-REC partner to help guide and council them along the way. CRHC continues to support HRRMC and recently celebrated Dr. Loftin, Dr. Sadler and Dr. Moss’s successful attestation to Medicare Meaningful Use in February of this year. Other notable accomplishments include being named as one of the nation’s Best Hospitals for Patient Experience in Obstetrics by the 2013 Women’s Choice Award from WomenCertified®. HRRMC was also named one of the HealthStrong™ Top 100 Critical Access Hospitals (CAHs) in the United States, which included only four Colorado hospitals. Click here to learn more about Heart of the Rockies Regional Medical Center or check them out on Facebook.